I've shared with you all our classic lemon drop before... but that was when I didn't have a nice muddler or martini glasses. So today, when we finally purchased some martini glasses from Crate and Barrel, I knew I had to share the newest and prettiest variation on our old standby. I think that our household theme is: just add mint. We're constantly in need of more mint (Ben's actually trying to grow some right now) and add it to stir-fries and cocktails left and right. 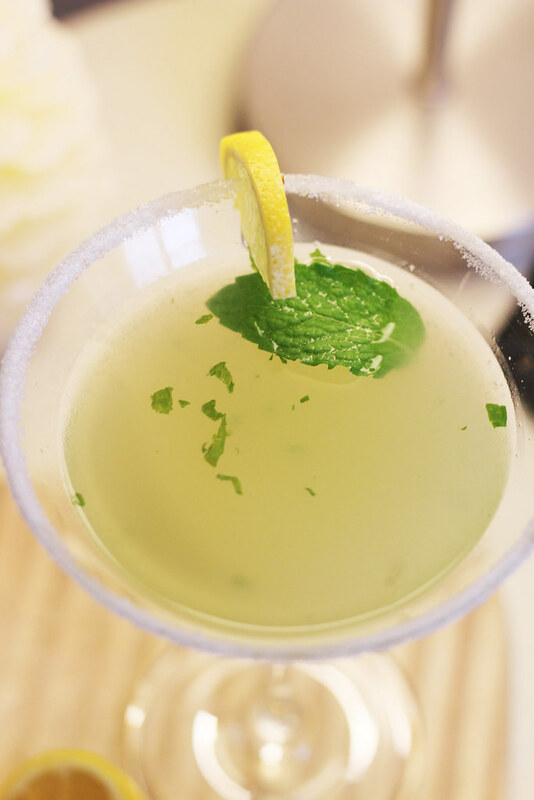 The mint in this cocktail helps cut some of the lemon's acidity and it makes it taste even more summer-y than ever. Granted, tonight we're inundated with a rainy storm and it's chilly out, so we're pretending that it's summer with this lemon-goodness. Keep on reading for the recipe and be sure to share if you end up trying this recipe! Rim your martini glasses with sugar and set aside. Put mint in a large shaker. 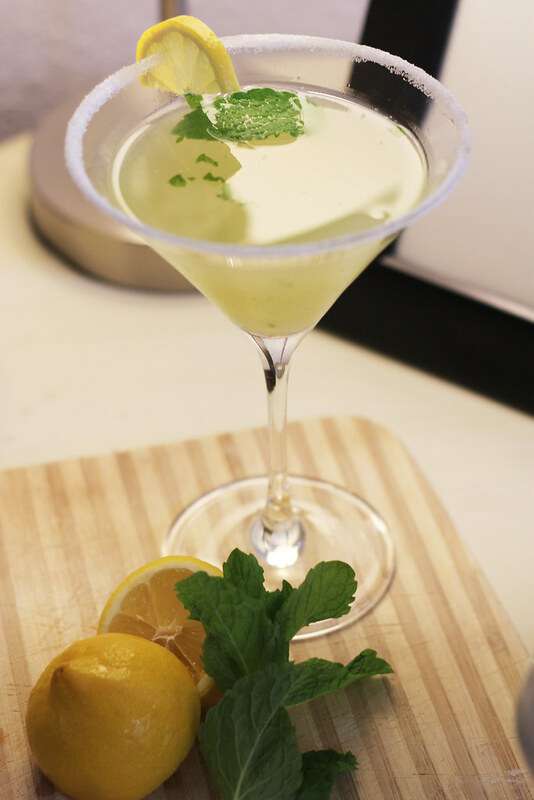 Add vodka and muddle the mint with the vodka to extract more flavor. Add triple sec, lemon juice, and ice and shake until well-mixed and shaker is frosty. Strain into your rimmed martini glass. 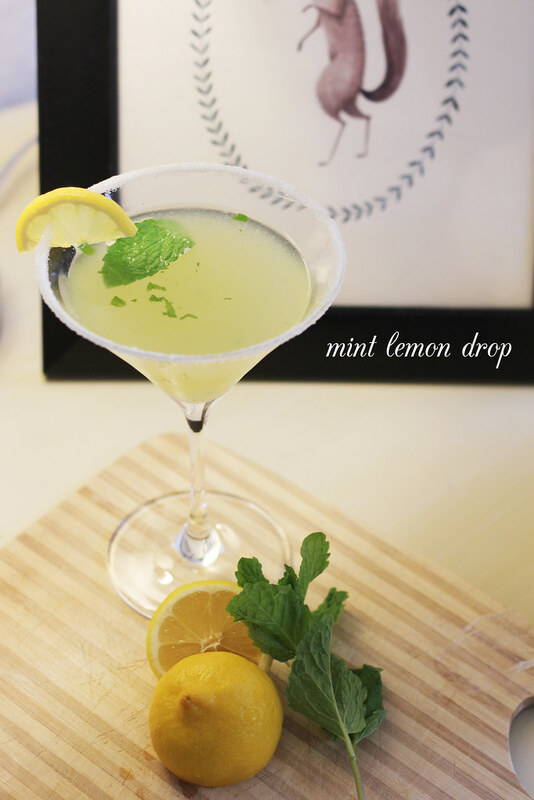 For effect, add a sprig of mint and a slice of lemon. Yum this looks so fresh and delicious can't wait to try it!